A lot of people assume that trusts are only useful for people who are extraordinarily wealthy. Indeed, high net worth individuals often use trusts of various kinds, but certain types of trusts can be extremely beneficiary for those of us who are not in the upper economic stratosphere. Even if you are a person of relatively ordinary means, you may want to consider the creation of a Medicaid trust at some point in time. Let’s look at the facts. 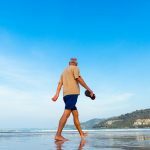 When you are relatively young, the subject of long-term care is probably not going to cross your mind. If you do think about it, you probably assume that Medicare will pick up the tab if you reside in a nursing home at the end of your life. In fact, Medicare does not pay for long-term care. 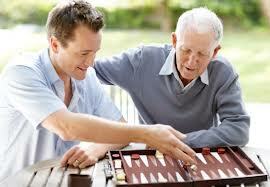 It pays for convalescent care, but it does not pay for long-term help with your activities of daily living. Crossing your fingers and hoping that you will ever need long-term care is not a very good idea. 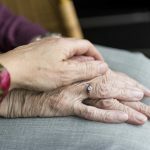 Most senior citizens will need living assistance eventually, and a significant percentage of them will reside in nursing homes or assisted living communities. These facilities are extraordinarily expensive. Depending on the nursing home, it can easily cost you somewhere in the vicinity of $100,000 to spend a year in a private room, and costs have been rising year-by-year. The average length of stay is over two years, and 10 percent of people in nursing homes stay in the facilities for five years or more. Now that you understand the lay of the land, we can explain the value of Medicaid trusts. Medicaid a government health insurance program for financially needy individuals, and it does pay for long-term care. Because it is a program that is intended for people with financial need, there is a $2000 limit on countable assets for an individual applicant. To qualify for this program, you could potentially convey assets into a Medicaid trust. A Medicaid trust would be an irrevocable trust, so you can’t call the whole thing off and take back the assets after you convey them into the trust. After a waiting period, they would not count if you were to apply for Medicaid to pay for long-term care. Plus, you could receive income from the earnings of the trust before you enroll in the Medicaid program. If you take the right steps at the right time, a Medicaid trust can provide a long-term care solution if you cannot afford to pay long-term care expenses for an extended period of time. Feel free to contact us through the following link if you would like to discuss Medicaid planning with a licensed professional: Charlotte NC Elder Law Attorneys.